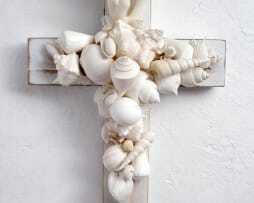 Beautifully handcrafted timber shell and purple barnacle crosses by Raw Treasures. 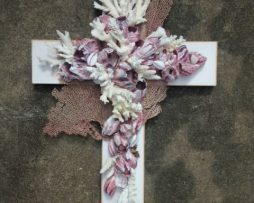 Each cross has a meticulously handcrafted shell design including Australian coral and is offered here in either a raw timber or shabby chic timber finish. 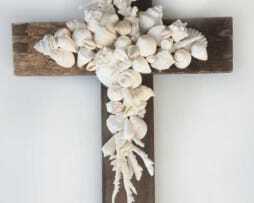 Delicately hand crafted from driftwood pieces, collected from ‘Burleigh Heads’ Beach’, our Driftwood Crosses are a magnificent piece of wall hanging art. 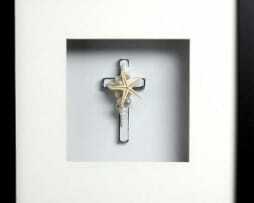 Each cross is locally hand designed & crafted by ourselves. 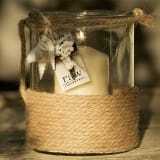 Labelled by Interior designers as ‘Raw Treasure’s Master Piece’ this product gracefully decorates any wall space. As an entrance piece, end of the hall way, office or bedroom, our ‘Raw Timber Cross’ creates captivating wall hanging art. Locally hand-crafted and designed by ourselves, we source recycled old rustic timber and create our signature design of Australian coral and clusters of white ocean shells. Exquisite in design, these crosses all carry their own unique designs. The Australian coral species, shells and Recycled timber pieces’ colours, shapes and designs all vary due to the nature of these natural products. 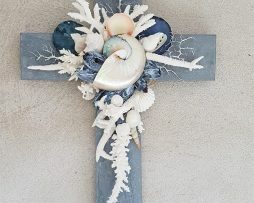 Beautifully handcrafted ready to hang timber crosses with shell, coral, sea fan, barnacle and a standout pearl nautilus shell feature are individually made by Raw Treasures. Each cross has a meticulously handcrafted shell design including Australian coral and is offered here in either a black or cement blue timber finish. 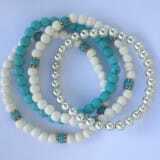 Each design includes a unique painted style blue shell or barnacle standout feature and all vary due to the nature of these natural products. 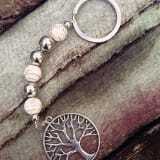 Ready to hang, these exquisite designs all carry their own unique features and are made exclusive by Raw Treasures. The Australian coral species and shell colourings, shapes and designs all vary due to the nature of these natural products. 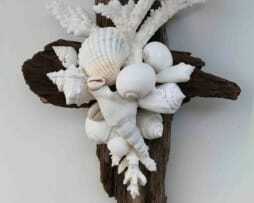 The shabby chic cross comes in either a white or black timber finish.